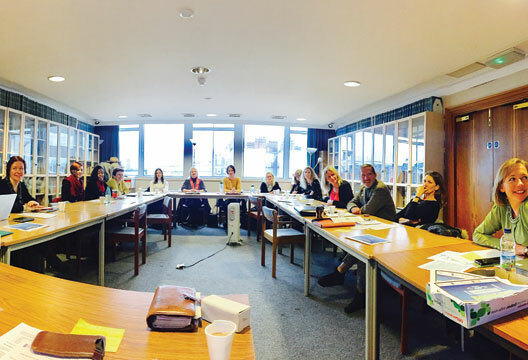 Around 20 psychologists, therapists, wellbeing practitioners and NHS managers met recently – the third meeting of the CLaN (Collaborative Learning Network) established as the main output from our British Psychological Society and New Savoy Charter on Psychological Wellbeing and Resilience. Past surveys from New Savoy and the BPS have identified high levels of stress and feelings of depression amongst mental health professionals, and these have been linked to the dominance of the ‘target culture’ in front line services. Our resultant Charter, endorsed and supported by over 20 organisations, calls for ‘a resetting of the balance in the drive to increase access to psychological therapy services … a greater focus on staff psychological wellbeing and promoting effective services through models of ensuring good psychological wellbeing at work…co-creating compassionate workplaces and sustainable services, and… through organisations committing to monitor and improve the psychological wellbeing of their staff’. The latest survey is open until 31 January. The results will be reported at the New Savoy Conference on 15 and 16 March. The ClaN aims to build on this work to foster a culture of openness, support and mutual learning; to develop a network of influence and awareness raising; to share and evolve the wellbeing tool and organisational interventions; and much more. For further information see our blog on the BPS website. We really need you, and the organisations that you work for, on board.